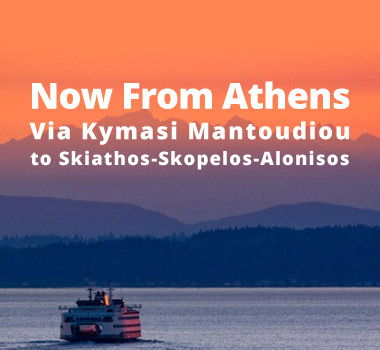 KTEL NOMOU EVIAS S.A. is a transportation organization active within the Prefecture of Euboea (or Evia), serving passenger transportation needs within the prefecture and ensuring the connection of Euboea with other capital cities of the country. KTEL NOMOU EVIAS S.A. executes all the bus lines of Euboea as well as the intra-prefectural lines of Thessaloniki, Ioannina, and Patras, transporting, approximately, 2.000.000 passenger per year. The exploitation of passenger transportation in the form of KTEL (Joint Bus Receipts Fund) started in 1952. The owners of various small buses executing shuttle communications for the villages and cities of their prefecture as well as for big cities, most especially Athens, founded KTEL in all the Prefectures of Greece, so that each Prefecture may have its own. Since then, KTEL buses transport passengers to the most remote villages with consistency and safety. KTEL bus was the “conveyer” of civilization from the bigger cities to all villages at a time when some did not even have electricity and the ambulance was made available only in cases of emergency. Until 1952, there were various types of vehicles with a maximum capacity of 12 people. From 1952 onwards, the first 24-seat buses made their appearance and things remained as such until 1962. Then they grew to 32-seat buses until 1979, when the fleet was replaced with modern 50-seat buses which served the transportation activities of KTEL until about the year 2000. Since 2000 these old 50-seat buses started to be replaced by their owners with brand new or slightly used 50-seat buses imported from Europe; after 2002-2003 owners mainly purchased new vehicles. Nowadays, all buses within the fleet of KTEL NOMOU EVIAS S.A. are 1 to 10 years old and provide excellent services and absolute safety to their passengers since they are equipped with state-of-the-art systems to this end. KTEL NOMOU EVIAS S.A., as all KTEL services in Greece, converted in September 2003 to an S.A. under the corporate name «INTRA-URBAN KTEL NOMOU EVIAS ANONYMOUS TRASPORTATION, TOURIST AND TRADE COMPANY OF EUBOEA PREFECTURE S.A. » [YPERASTIKO KTEL NOMOU EVIAS METAFORIKI TOURISTIKI KAI EMPORIKI ETAIREIA NOMOU EVIAS S.A.]. The shareholders of this company are all the bus owners of its fleet.